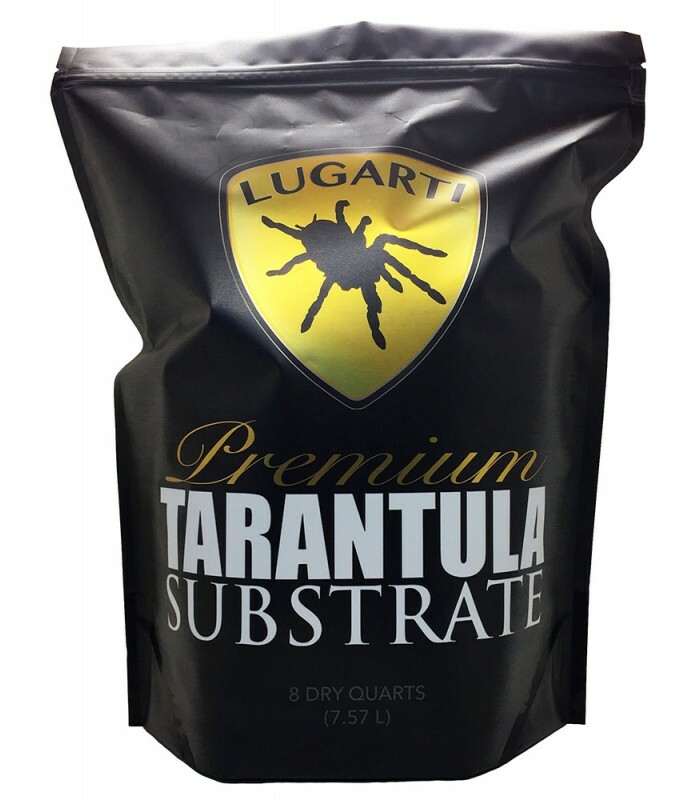 Whether you have a terrestrial or an arboreal species, Lugarti’s Premium Tarantula Substrate is the absolute best option available. This special blend of Sphagnum Peat Moss, extremely fine sand and Bentonite Clay allows you to simulate a natural habitat and control important humidity parameters much better than coco coir. One of the most critical factors in caring for tarantulas in captivity is using the right substrate. The most commonly used substrates in the industry are coco coir and vermiculite. The problem with these substrates is that they are always either too dry or too wet, and neither of them will hold a proper burrow. For slings to adults, arboreal and terrestrial species, simply fill the enclosure (vial, container, terrarium, etc.) with a depth 4 - 5 times the height (not length) of your tarantula and pack down firmly. Add water to the substrate for species that require higher humidity. Spot clean and replace as needed (visual).